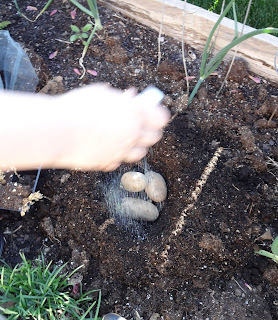 Potatoes were prepped and planted this week. My kiddo is in charge of spud gardening. She sprinkles glitter on the potatoes before putting them in their mounds. 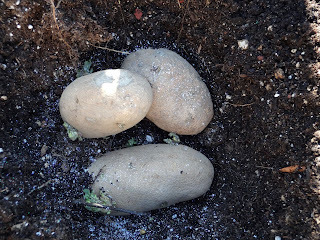 Our planting is a little late this year, so here's hoping for three, perfect-looking potatoes in time for the Western Idaho Fair. Aviana planted Russet Norkotahs. 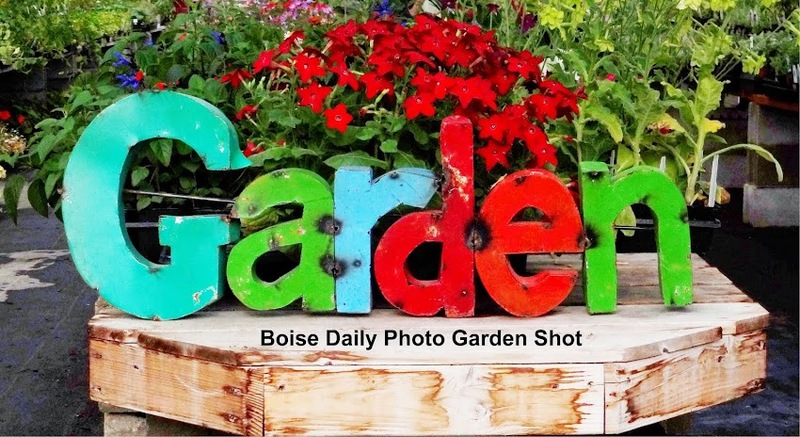 The key to beautiful spuds is even watering - which can be a challenge if we get into a streak of 100-degree weather.